With half of California households now struggling to rent or buy a home in their communities—and with an estimated $140 billion in economic activity being lost each year to high housing costs—the Summit has spent the year developing a comprehensive strategy for increasing the supply, and reducing the cost, of the homes California’s growing population needs to prosper. In the newly-released 2016 Summit Playbook, the Summit outlines its plans for taking on the One Million Homes Challenge—introducing an “all of the above” framework for expanding access to subsidized affordable housing while also increasing production of market-rate housing near jobs and transit. 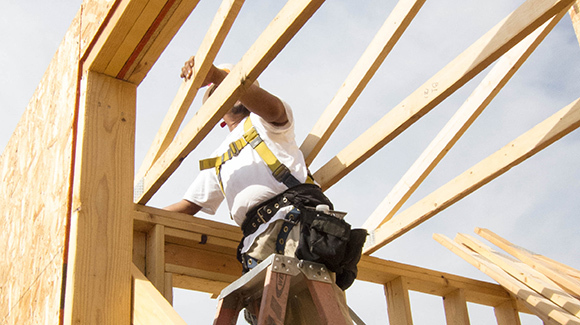 To bring supply into balance with demand, the Summit has pledged to support efforts to build at least one million more homes over the next 10 years than the state is currently producing. California has built housing on this scale before, but communities today struggle with numerous obstacles—from fiscal disincentives and lengthy approval processes to neighborhood opposition that makes it difficult to say yes to new housing. To take on this challenge, the Summit hosted a series of stakeholder convenings in 2016 with a diverse group of builders, housing advocates, equity groups, environmentalists, and local government leaders. (Members of the Administration and legislative staff were also invited as observers.) These housing experts explored a range of ideas for overcoming the political and policy barriers that have made it so hard to expand California’s housing supplies. In the 2016 Playbook, the Summit highlights the major elements considered by the group. This “all of the above” framework includes two major sets of proposals: A package of fiscal incentives that can encourage more jurisdictions to approve housing (and reduce costs); and a collection of proposals that would increase accountability for communities that aren’t building adequate housing. No single element in the Summit framework will be enough to help the millions of Californians struggling to find an affordable place to live. But together, these ideas—a collection of some of the most high-impact, politically viable proposals in the state—can make a substantial difference. This “all of the above” strategy will be reviewed and refined by participants in the California Economic Summit on December 13-14 in Sacramento—and then shared with the Administration and Legislature in the new legislative session. The Summit will work to ensure every element is considered and advanced in 2017—and that state and local governments continue to pursue solutions that match the scale of California’s growing housing crisis.